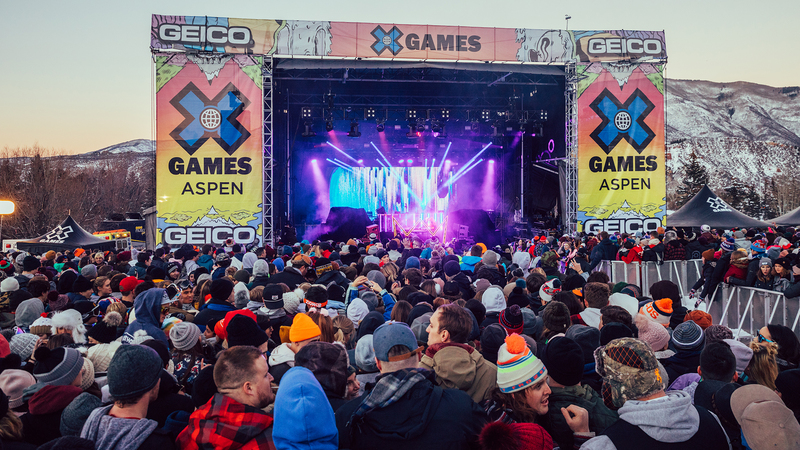 The X Games just wrapped up a full weekend of skiing, snowboarding, snowmobiling, snow biking, live music and fun. We've been bringing you photo highlights in this rolling gallery, updated throughout the event. Click on to check out the top moments and images from 2019. Pictured here: 2018 Olympic halfpipe gold medalist, multi-XG-medal holder and fashion icon Iouri Podladchikov shows the SuperPipe who's boss, closing out the final snowboard competition of X Games Aspen 2019 on Sunday night. 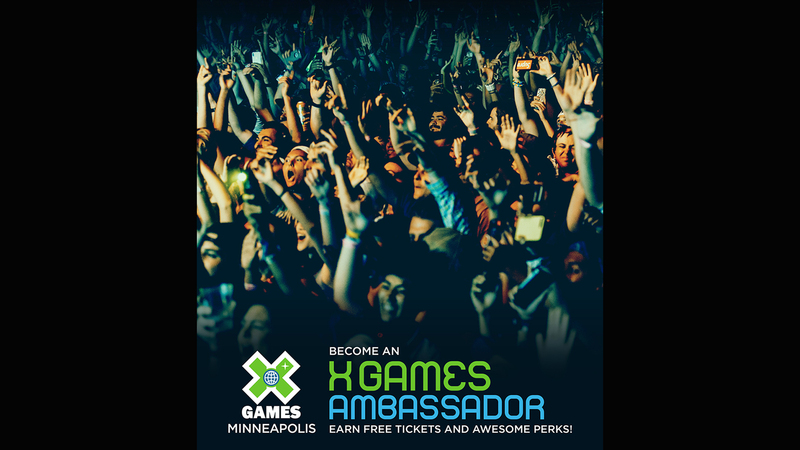 The X Games just wrapped up a full weekend of skiing, snowboarding, snowmobiling, snow biking, live music and fun. We've been bringing you photo highlights in this rolling gallery, updated throughout the event. Click on to check out the top moments and images from 2019. Pictured here: 2018 Olympic halfpipe gold medalist, multi-XG-medal holder and fashion icon Iouri Podladchikov shows the SuperPipe who's boss, closing out the final snowboard competition of X Games Aspen 2019 on Sunday night. 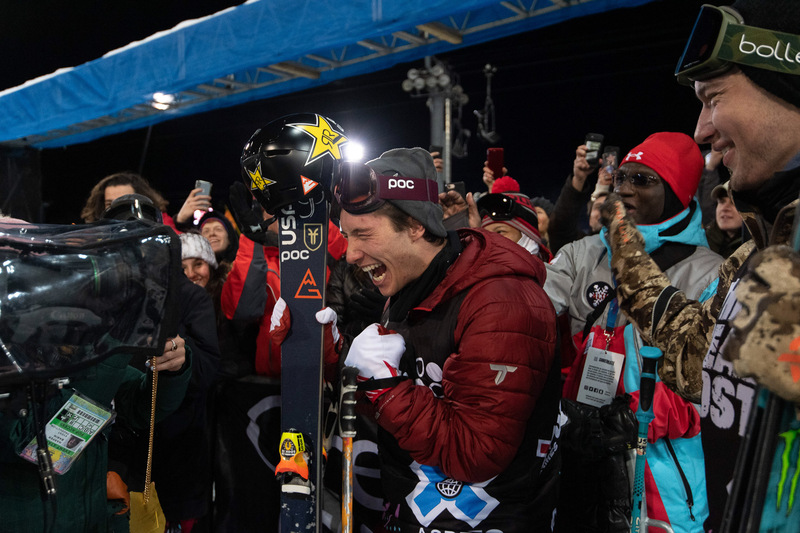 Alex Beaulieu-Marchand, otherwise known as ABM, came into X Games Aspen 2019 with one medal to his name from seven X Games appearances. All that changed when he earned a silver medal in Men's Ski Big Air on Saturday night, followed by another silver in the Men's Ski Slopestyle Final less than 24 hours later. As the temperature clocked in at a balmy 15 degrees at the base of Buttermilk it wasnt really warm enough for this outfit, but when sacrifices must be made when youre trying to make it on as many Instagram posts as possible. 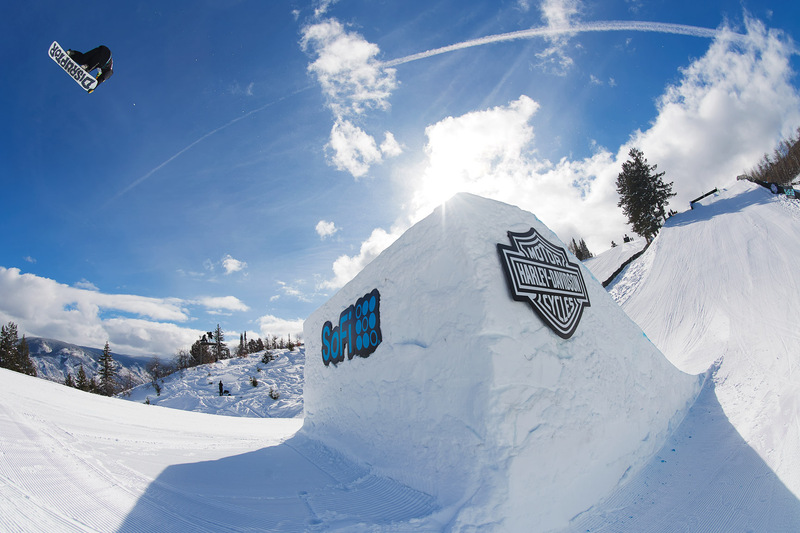 In the inaugural Harley-Davidson Snow Hill Climb at X Games 2018, racers rooped up the middle of the SuperPipe right before the final Men's Snowboard competition. This year's venue was much better. Held on the landing of the X Games Big Air jump, the races were much more true to traditional "hill climb" form. 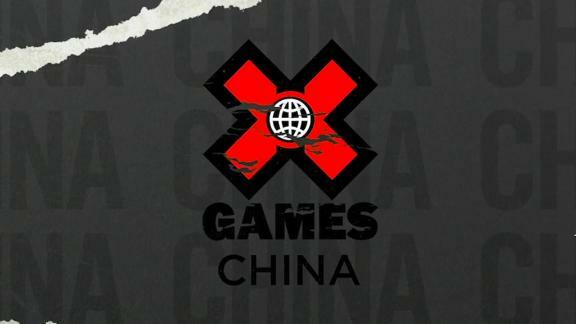 At 6'4" Alex Hall is the tallest Ski Slopestyle gold medalist in X Games history. He won Sunday afternoon in a sweater that his mom gave him for Christmas. 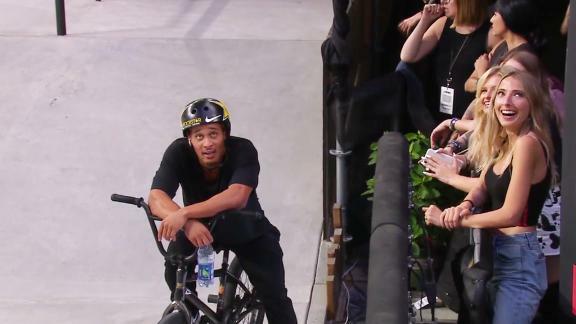 It was either Kyle Loza's old trick, the Electric Doom, or Rob Adelberg was calling it: The High Roller. Either way, it won Adelberg the Snow Bike Best Trick gold. Last year's Hill Climb winner, Travis Whitlock, clocked the fastest race time of the night. Unfortunately he bogged off the line and got smoked when it counted, in the gold-medal race, and had to settle for a silver medal. Finland's Rene Rinnekangas shows off for the crowd during the X Games' newest fun event, the Snowboard Knuckle Huck, which went down on the knuckle of the Big Air jump on Saturday night. Making it to X Games Aspen is a big deal in itself. 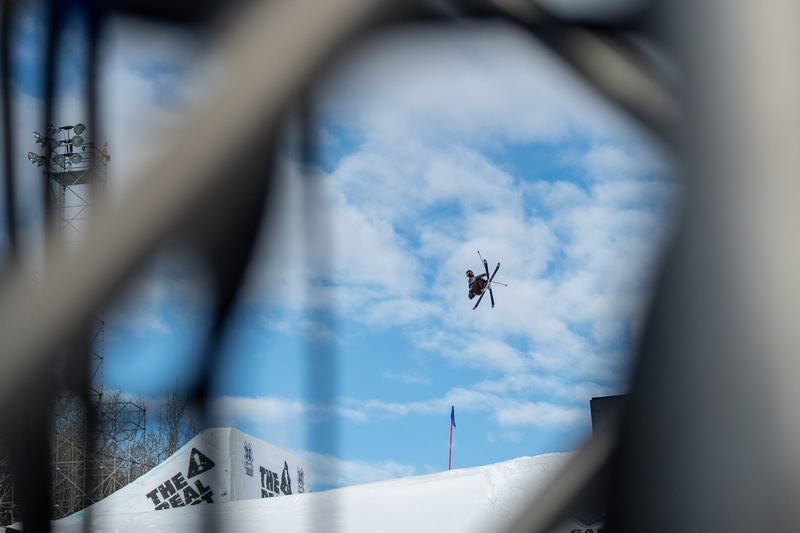 Making it through Men's Snowboard Slopestyle eliminations and into the finals is huge. 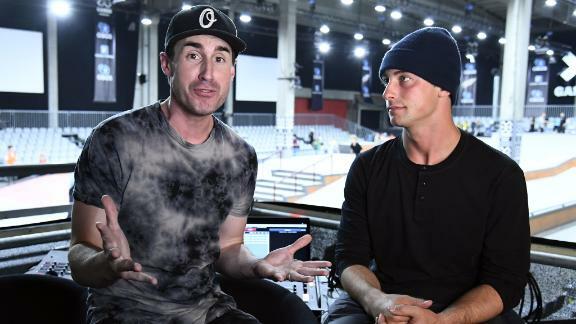 Mikey Ciccarelli might have placed only ninth in the finals, but achieving that rank against the best of the best is a commendable feat on its own. 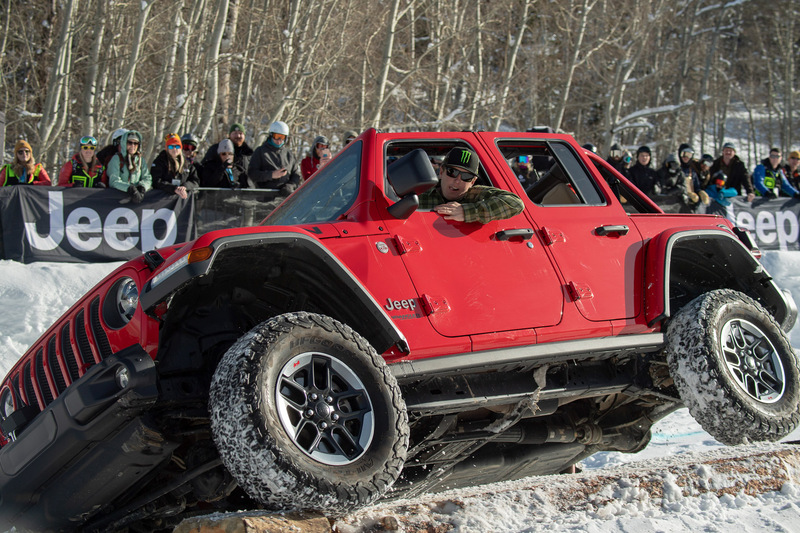 Three years in, the Snow BikeCross phenomenon has fully arrived at X Games Aspen. 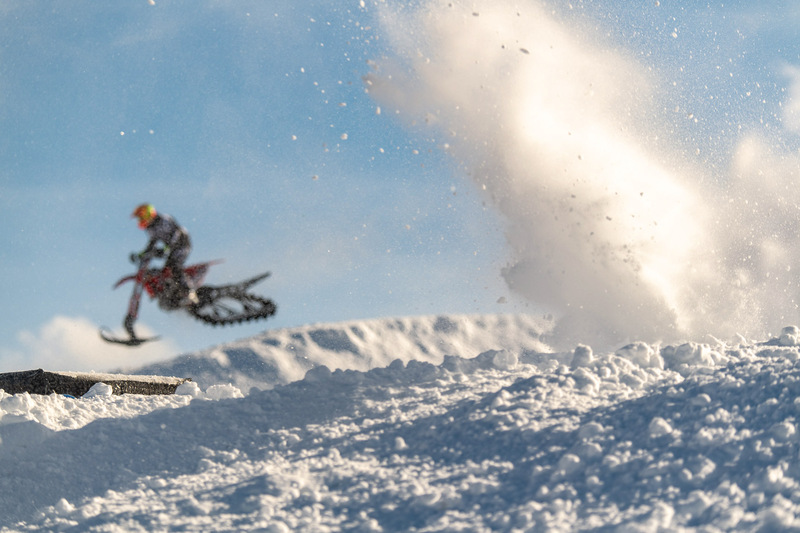 Seth Fischer pushed through seeding to place fifth place in the Wendy's Snow BikeCross final. "I'm super-pumped on how we finished today," said Fischer. Kelly Clark, one of the most decorated athletes in X Games history, announced her retirement just prior to the Women's Snowboard Superpipe Final, with one final drop in to the Aspen superpipe and the roar of the gathered fans. It has been a year of big changes for Hailey Langland. 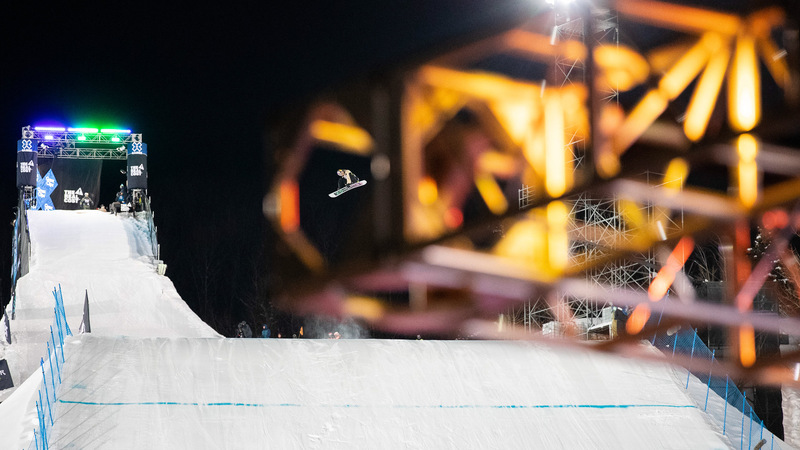 She nailed an injury recovery, had a sponsorship change to Red Bull and returned to X Games to snag a silver medal run in Women's Snowboard Slopestyle. Chalk up another medal for "Yung Hails." 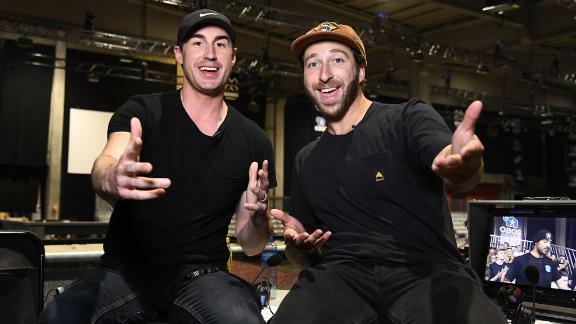 However you pronounce his name (we guarantee you aren't saying it properly), the snowboarder more commonly known as "The Fridge" one-hand-drag-flipped his way to the very first Snowboard Knuckle Huck gold on Saturday night. Snowboard Slopestyle superstar Red Gerard takes a lap through the SuperPipe during practice for the Women's Snowboard Slopestyle final. 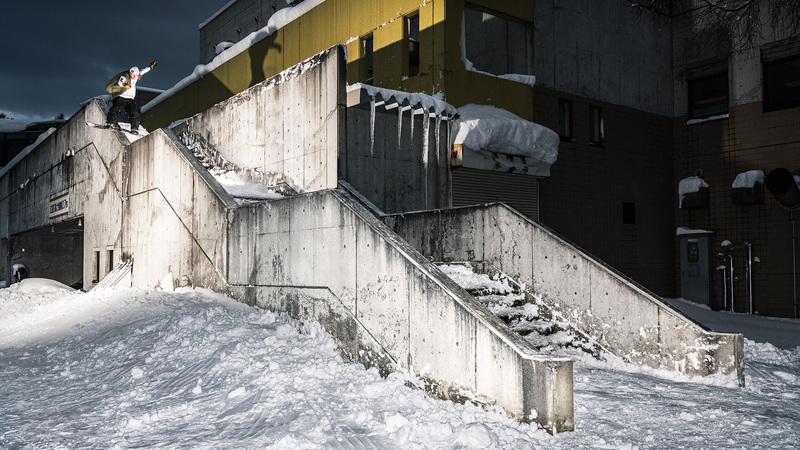 In case you didn't know, this is a photo of one of the most all-around-talented snowboarders in the world. 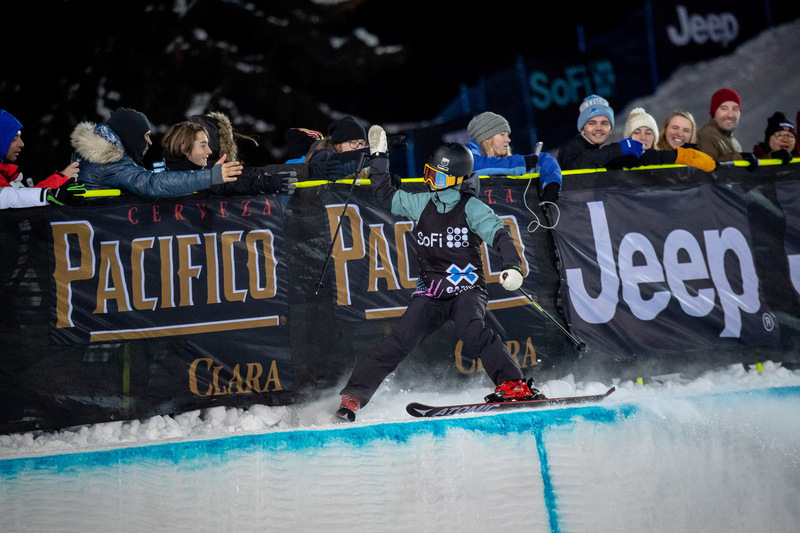 Longtime Snowboard SuperPipe veteran Queralt Castellet throws down a mean lien air during the Women's final Friday night at X Games Aspen. 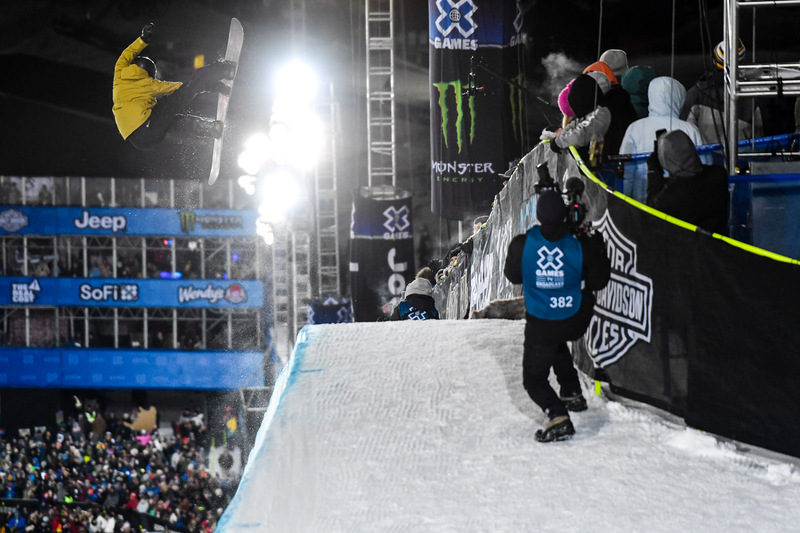 Japan's Takeru Otsuka burst on the scene in 2018, making the final in his first Burton U.S. Open slopestyle appearance before going on to win both the Men's Snowboard Big Air Qualifier and the Final at X Games Norway 2018. 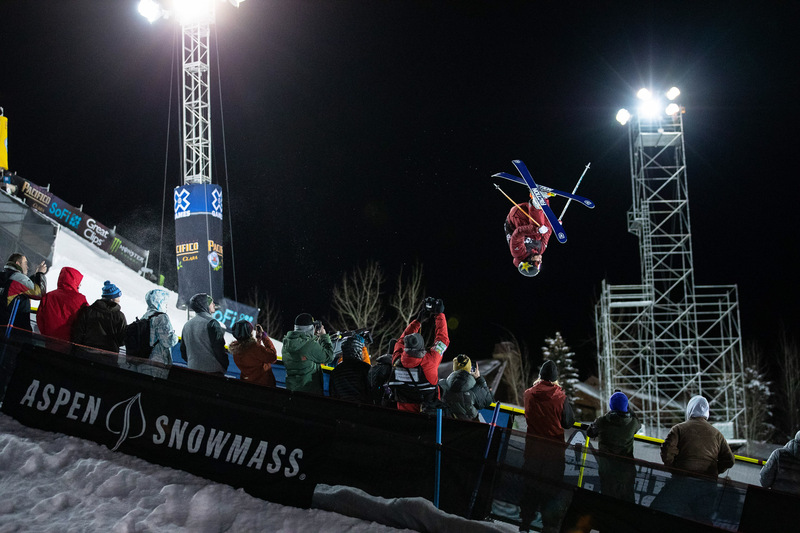 Friday night, he continued his streak with a solid win in Men's Snowboard Big Air at X Games Aspen 2019. At 30 years old, Joe Parsons is the most decorated snowmobiler in X Games history. He came into Aspen this year with 17 medals to his name -- just one behind Shaun White's record of 18. But he finished just off the podium in the Snowmobile Freestyle final on Friday night, leaving White's record untouched for another year. 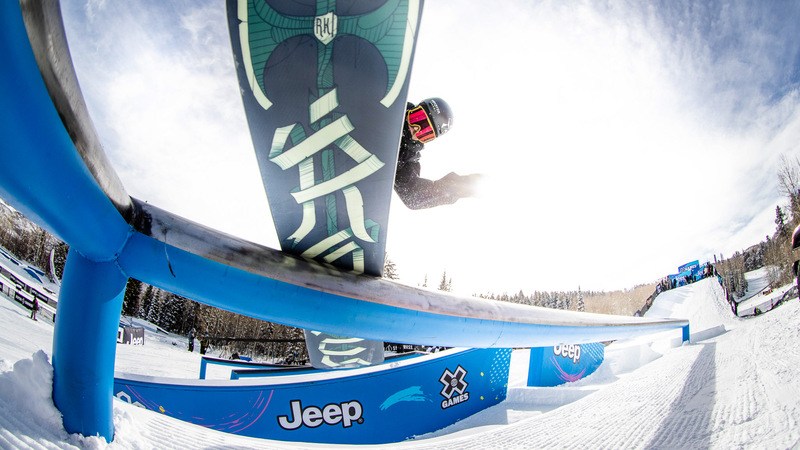 Red Gerard became a household name when, after sleeping in on the day of the competition and losing his official U.S. Olympic team jacket, he won Slopestyle gold at the 2018 Winter Olympics while riding in a borrowed coat. 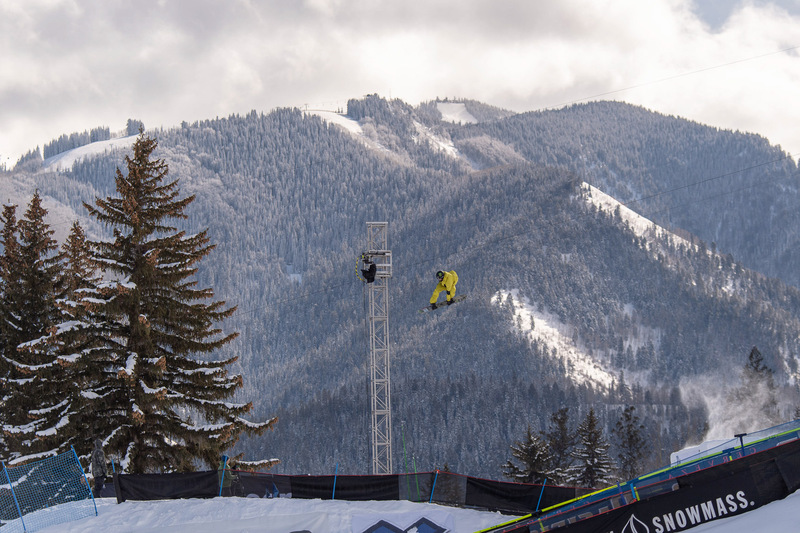 Gerard didn't have to compete in Friday's Slopestyle elimination round because he was prequalified for Saturday's final from his finish at X Games Aspen 2018. 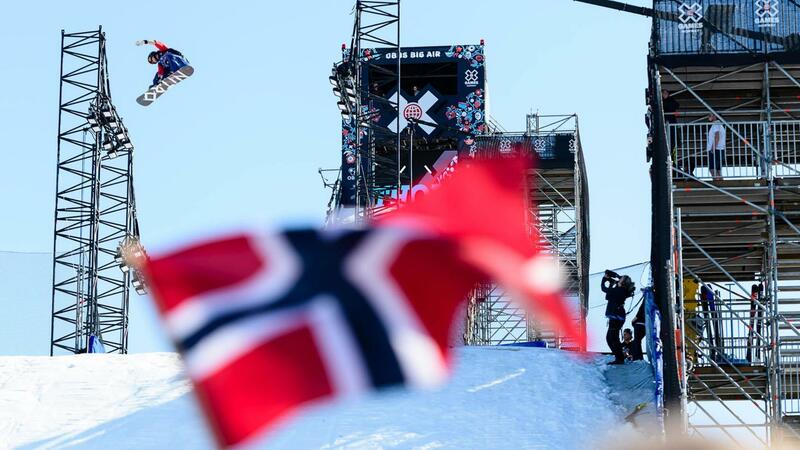 Alex Hall dropped in to the Men's Big Air Elimination on Friday in a Scandinavian sweater, which seems fitting for a man who split his time growing up between the U.S. and Europe and is a nice little blend of world cultures. 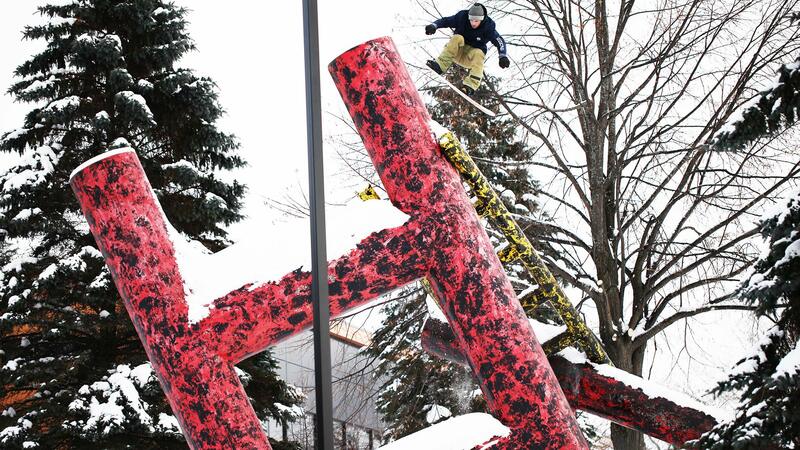 At 6-foot-4, Belgium's Sebbe De Buck is one of the tallest snowboard competitors in X Games history. He stood out even more in Friday's Men's Snowboard Slopestyle Elimination competition in his all-yellow snowboard suit. 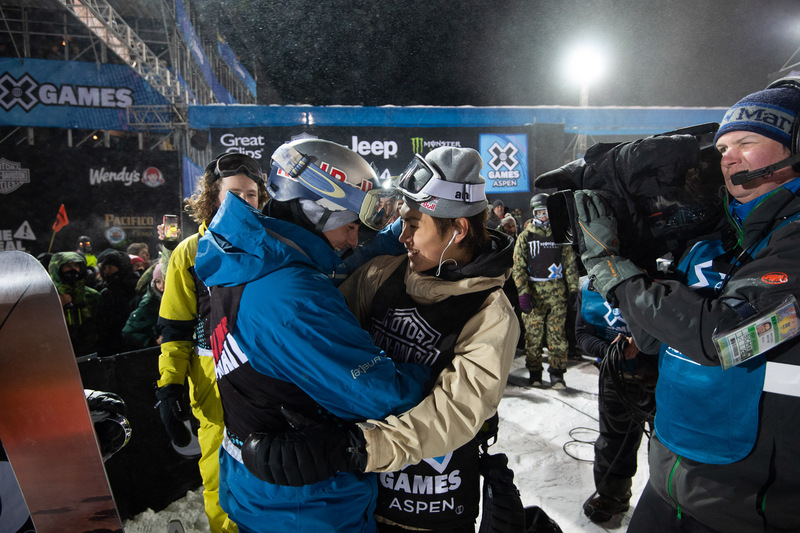 Multiple Snowboard Big Air gold-medal-holder Mark McMorris congratulates X Games Aspen's newest Big Air superstar, Takeru Otsuka, at the bottom of the Big Air jump. 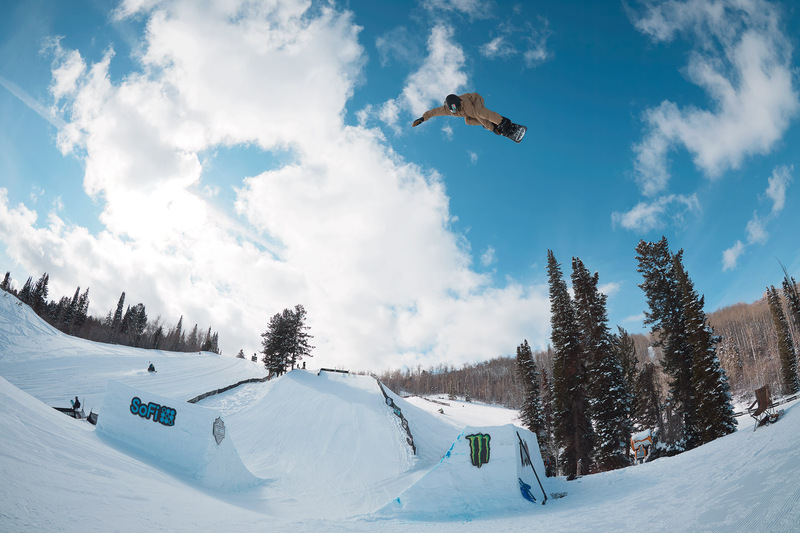 In 2016, Kyle Mack won the slopestyle title at the Burton U.S. Open with a run that included back-to-back triple corks. 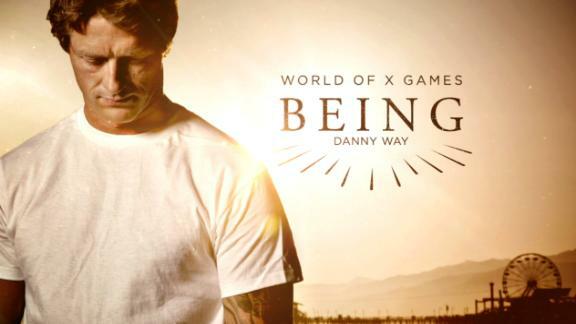 In 2018, he won the silver medal at the Winter Olympics in Men's Snowboard Big Air. He has yet to make the podium at the X Games. Casey Currie grew up in a family boasting a 50-plus-year legacy of building high-performance rear ends for off-road and NASCAR-style racing. He was racing motorcycles as early as age 5 and easily smoked his competition in the Jeep Wrangler X Challenge on Friday afternoon. If a motorcycle's wheels are replaced with a track and ski system, is it still a motorcycle? Is it a snowmobile? 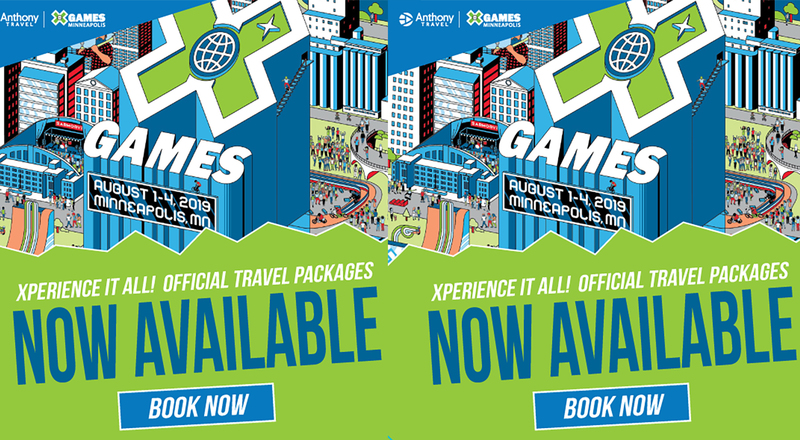 At X Games, they're called snow bikes and Snow BikeCross made its X Games debut at Aspen 2017. These converted motocross bikes on snocross-style courses are creating buzz in the snow motorsports world. The racing goes down Saturday afternoon at Buttermilk Mountain. Men's Snowboard Slopestyle multi-medalist, Stale Sandbech, shows off his rail style during Slope practice on Wednesday afternoon. Google "Sebastien Toutant + Rocky stairs" to see a bananas video on YouTube of a rail slide Toutant just pulled of in Philadelphia on the iconic stair set that Rocky Balboa runs up in the first "Rocky" movie. Here the former X Games Slopestyle gold medalist warms up on the slope jumps with a textbook method. 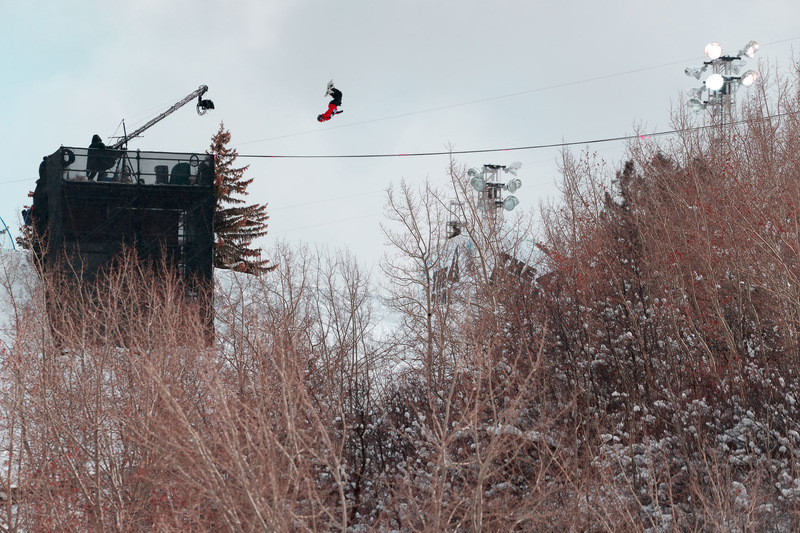 Sweden's Jesper Tjader practices for Men's Ski Big Air, a contest he's currently listed as an alternate for, on Wednesday. 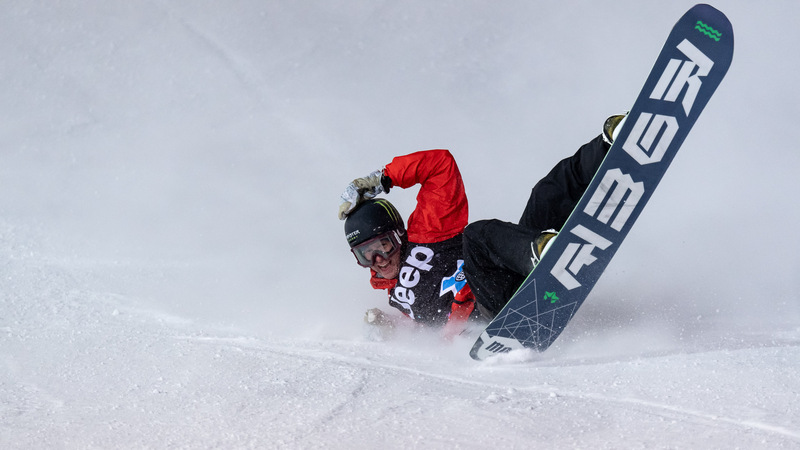 Tjader made it through a heated Elim contest for Men's Ski Slopestyle on Thursday morning, and qualified to compete in the main Slope event on Sunday morning. 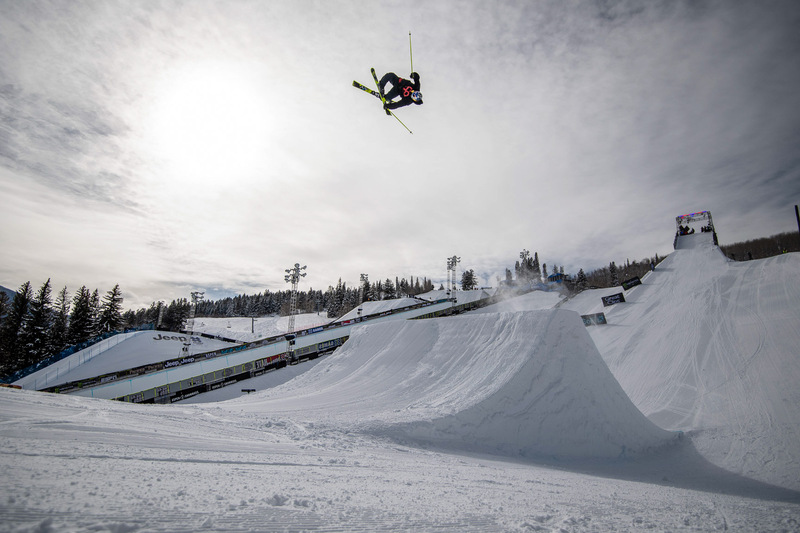 Previously known as snowboarding's "international am of mystery," Finnish snowboarder Ren Rinnekangas got his first invite to X Games this year. 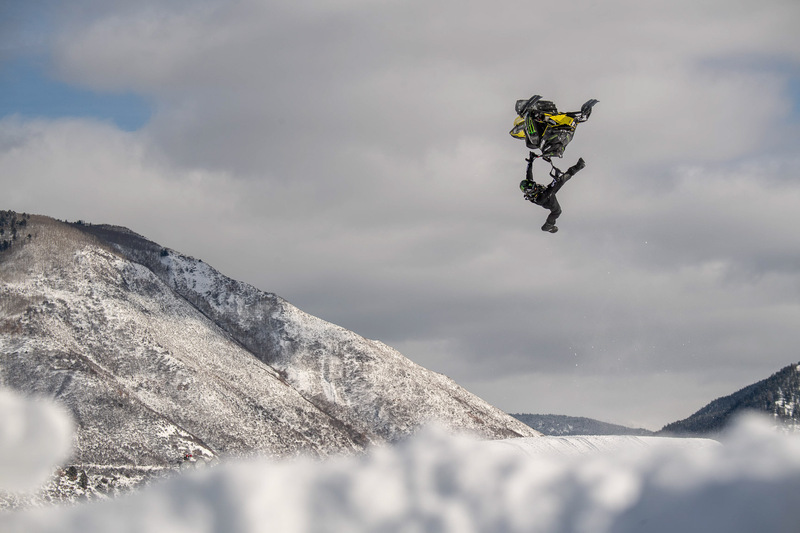 In between nighttime runs with snowboard filmer Gimbal God, Rinnekangas warmed up for his X Games debut on Friday at X Games Aspen 2019. 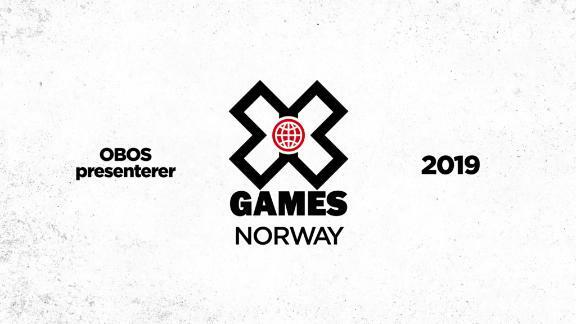 Takeru Otsuka won X Games Big Air gold in Norway 2018, while Yuki Kadono won Big Air bronze in Aspen 2018. 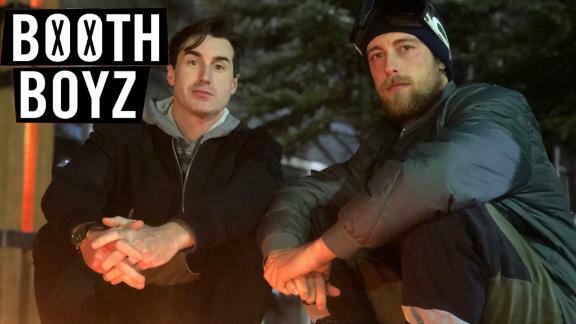 Together at X Games Aspen 2019 the duo hope to repeat their past successes while pushing the progression level up a few notches. 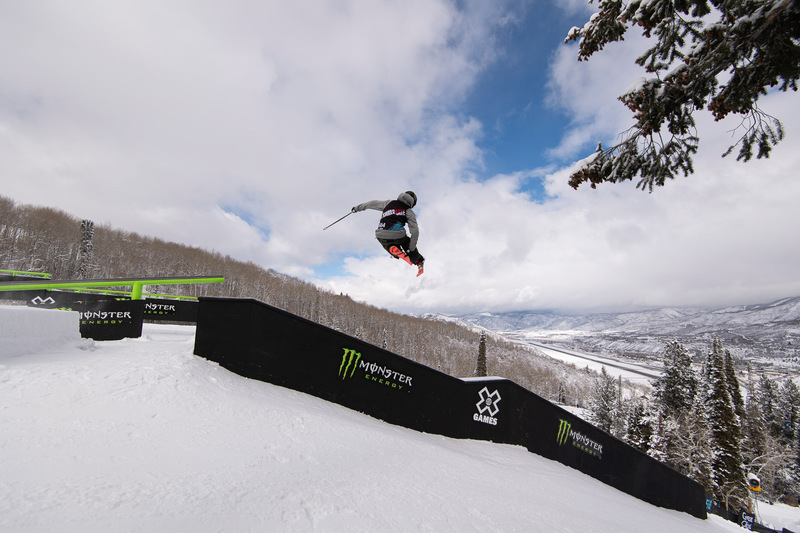 On Thursday morning, Evan McEachran became one of seven skiers to qualify for Sunday's Ski Slopestyle final. 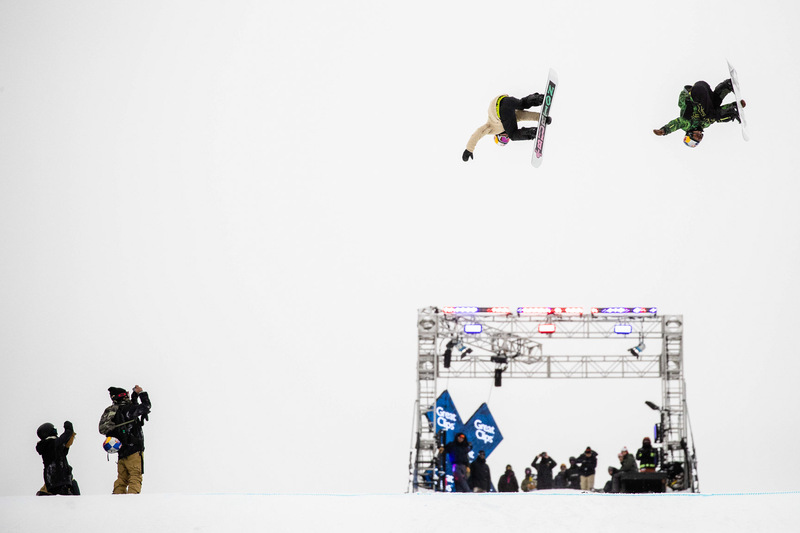 After winning the Dew Tour in December, he is a favorite to podium. 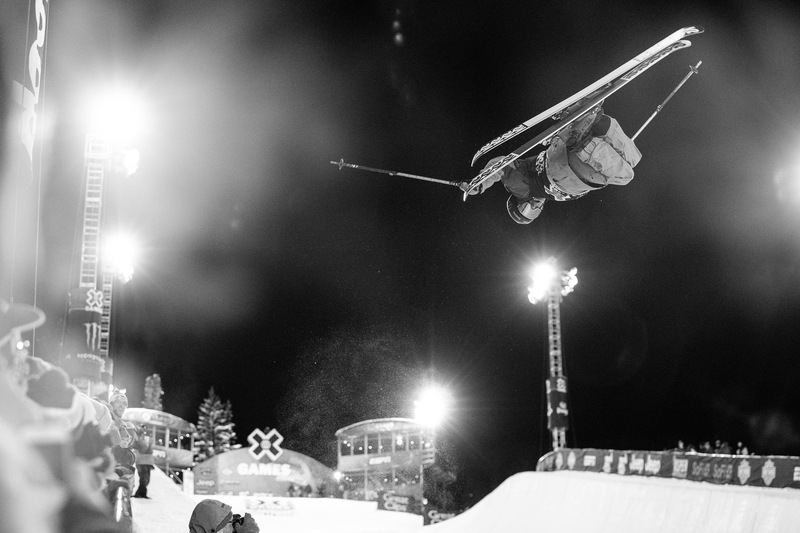 Ayana Onozuka is the first female Japanese skier to medal at the X Games (XG Aspen 2015). 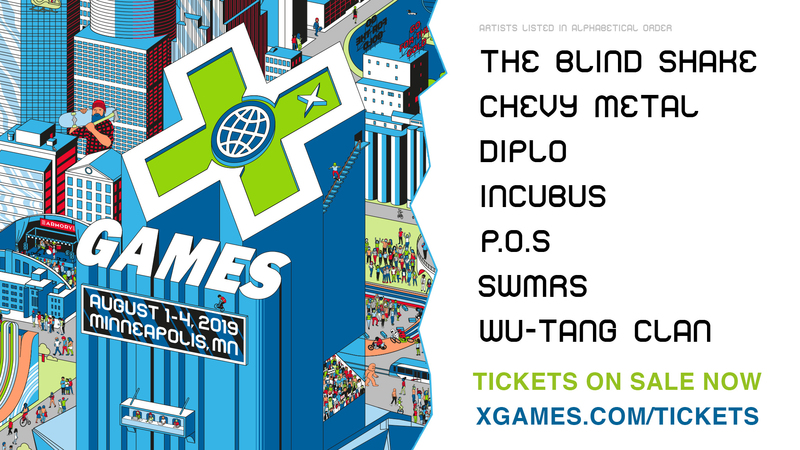 This year marks her eighth and last X Games appearance. 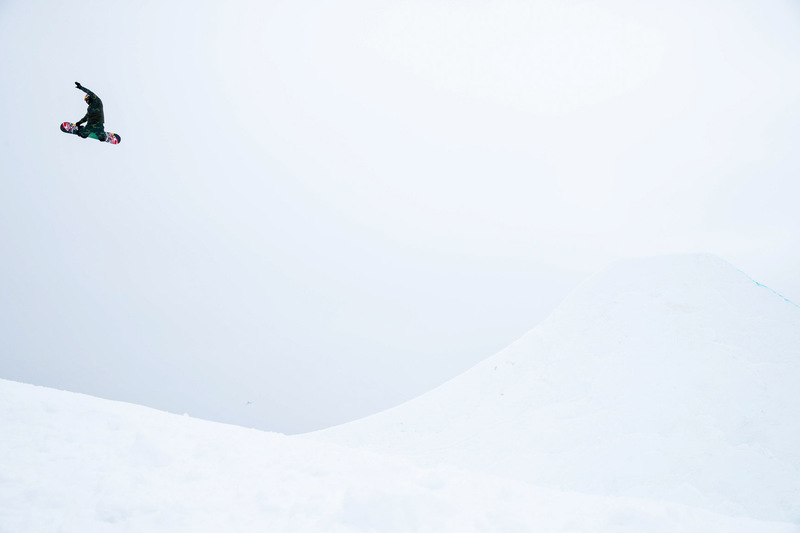 She is moving on from X to the Freeride World Tour. Not only did local-boy Alex Ferreira win his first Ski SuperPipe gold medal on Thursday night, he became the first Aspen skier to do it since 2010, when Aspenite Peter Olenick won Ski SuperPipe High Air. Birk Irving, from Winter Park, Colorado, didn't make the podium in his third X Games appearance in Men's Ski SuperPipe, but he sure did entertain a huge crowd of local fans. "We are burning down the town tonight. Fire me up," said Ferreira in his winner's interview at the bottom of the X Games Ski SuperPipe. At least 50 people watching his win at Buttermilk on Thursday night were members of his personal friends and family entourage.